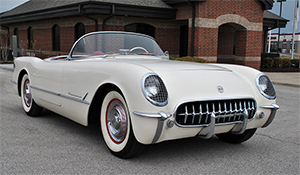 If you’ve dreamed of getting your hands on a 1961 Austin Healey, a 1957 Chevrolet Bel Air Hardtop or a 1972 Chevrolet C10 – or all of the above – you’ll want to be in Branson on April 12-13, 2019. The 40th annual Branson Auto Auction will return to the Branson Convention Center this spring. 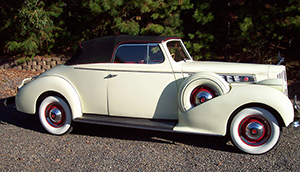 This semi-annual auction showcases some of the most elusive historic cars in the Midwest area. Serious car lovers (and those who love to dream) flock to Branson for this popular auto auction every October and April, which has long captivated the interest of car enthusiasts looking to grow their collections. If you’re interested in being a buyer, learn more here. The spring 2019 auction will be held at the Branson Convention Center in downtown Branson. Doors open at 10 a.m. on Friday (April 12), with the auction beginning at 11:30 a.m., and at 8 a.m. Saturday (April 13), with the auction beginning at 9:30 a.m. Admission is $15 per day, or you can purchase a two-day pass for $25. Those who present a military I.D. can purchase admission tickets for $10 per day or $15 for both days. Tickets go on sale at 10 a.m. on Friday and 8 a.m. on Saturday at the door. You can also purchase tickets in advance by calling 800-335-3063. If you’re planning on enjoying the auction both days, the Hilton Branson Convention Center Hotel, conveniently attached to the convention center, is the event's host hotel. Special rates may apply. After the auction, be sure to check out all Branson has to offer. From the convention center, you’re only a few steps away from the Branson Landing, which has specialty shopping options and several restaurants. You’re also within minutes of Branson's live shows and attractions on Highway 76. For more events happening this April in Branson, visit here. Make the most of your time in Branson this spring with area attractions and activities listed here.